Email from James Sackett to Chris Sackett, March 2011. 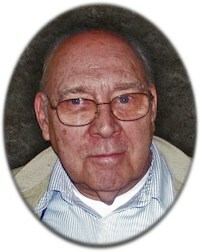 Website Heafey Hoffman Dworak Cutler Mortuaries & Crematory (http://heafeyheafey.com), obituary. "US City Directories, 1822-1995", digital image, Ancestry.com, Lincoln City Directory, 1951, "Sackett Arth L (Neola) floormn Natl Biscuit r342 S 29th", "Sackett Neola Mrs asst cash Lincoln Baking r342 S 29th"; 1953, "Sackett Arth (Neola) h3408 W"; 1955, "Sackett Arth L (Neola L) floormn Natl Biscuit Co h3408 W". "Sackett Neola L Mrs clk Continental Baking r3408 W"; 1956, "Sackett Arth L (Neola L) fl mn Natl Biscuit h3408 W"; 1958, "Sackett Arth L (Neola L) whsemn National Biscuit h3408 W."
"U.S. Marine Corps Muster Rolls, 1798–1958", digital image, Ancestry.com.